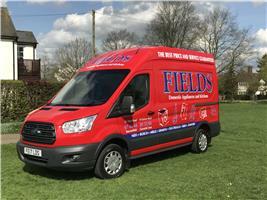 Fields Domestic Appliances - Appliance Services/Repair, Bedrooms, Kitchens based in Beaconsfield, Buckinghamshire. Friendly service with quality advice”, that’s what every customer is confident of finding every time they visit our showrooms in Gerrards Cross & Beaconsfield, be it to purchase bags for your vacuum cleaner or order a complete kitchen. At Fields we stock a wide selection of washing machines, dishwashers, fridges, built-in appliances as well as all the smaller essential items & if we haven’t got what you are looking for we can usually get it within a couple of days. Some of the makes we stock are AEG AMICA BOSCH MIELE ZANUSSI ELECTROLUX SEBO BLOMBERG LEC HOTPOINT LINSAR TRICITY SIEMENS LIEBHERR MAGIMIX & DYSON to name a just a few. At Fields pride ourselves on the service we offer. “A lot of people prefer to shop locally and we have also found that people recommend us to their friends, both locally and as far as afield as the Isle of Dogs & the Isle of White. We can deliver usually the same day, connect the machine, test it and then take your old appliances away and all this is FREE*, taking all the normal hassle out of buying a new machine. We also employ a fully qualified service engineer to repair appliances, so we can repair your old machine, or supply you with a new one, often the same day. The Beaconsfield showroom as well as having a large display of appliances also has a display of fitted kitchens, with a choice of over 80 styles colours & doors. Now we can supply everything from a new toaster to a fully fitted kitchen. Parking is easy at both stores with plenty of FREE parking.